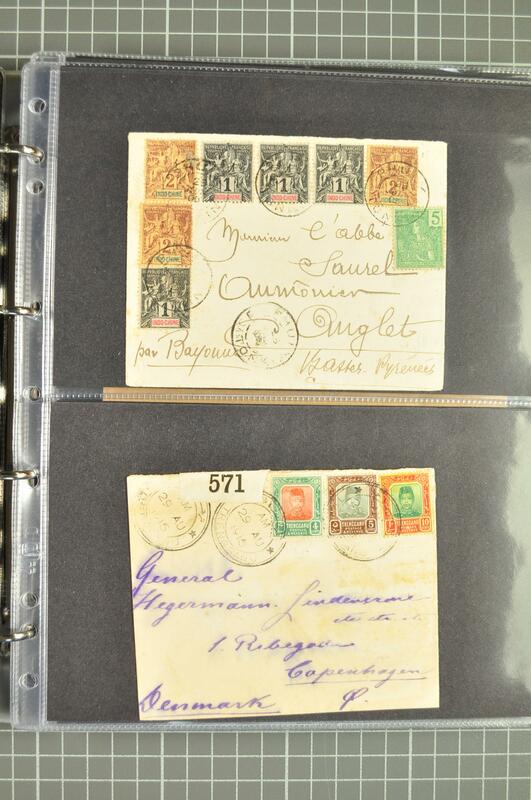 1899/75c. 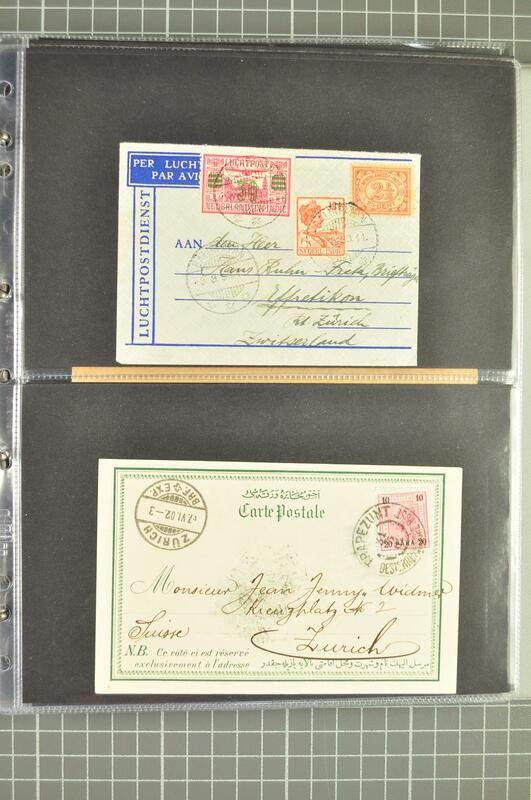 : Shoebox with issues from Chrysanthemum onwards with used in packets, large quantityy, a few covers/cards with 1912 card bearing 4 s. tied 'Port Arthur / IJPO', range of Korea incl. 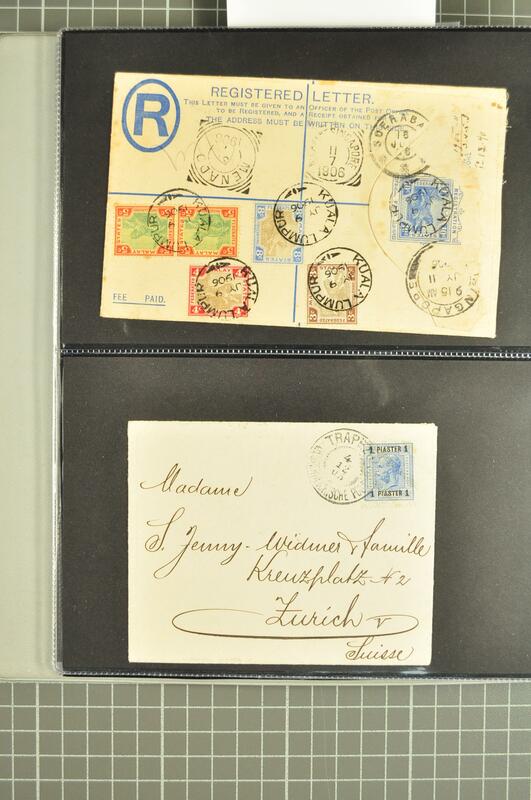 1895/98 set of four values genuinely used, 1900 2 re.- 20 ch. 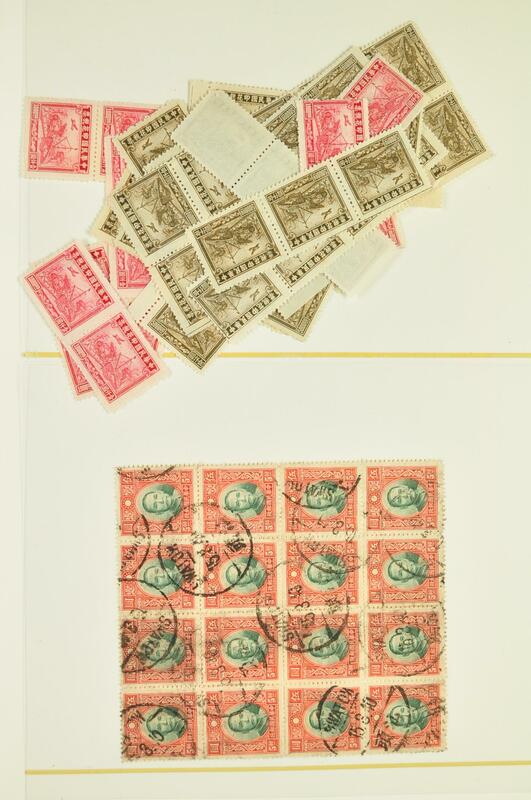 used, 1902 Accession 3 ch. used, South Korea with May 1962 miniature sheets unused and range of 1960's FDC's etc. 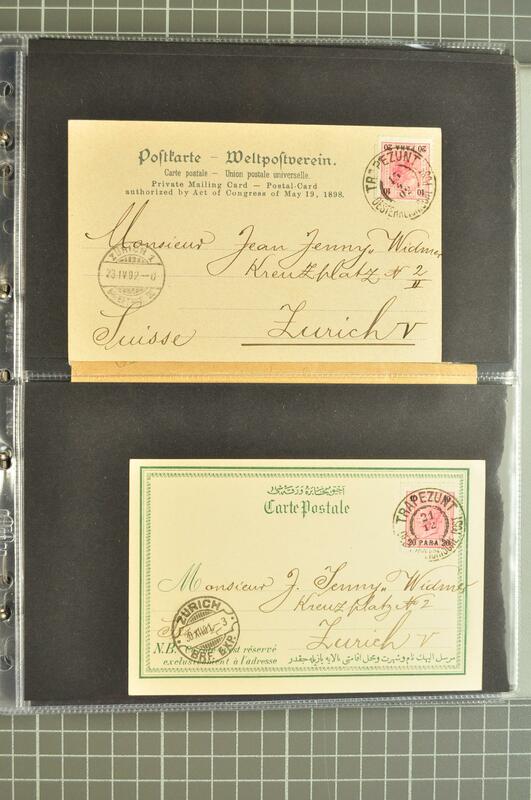 1890/1960ca. 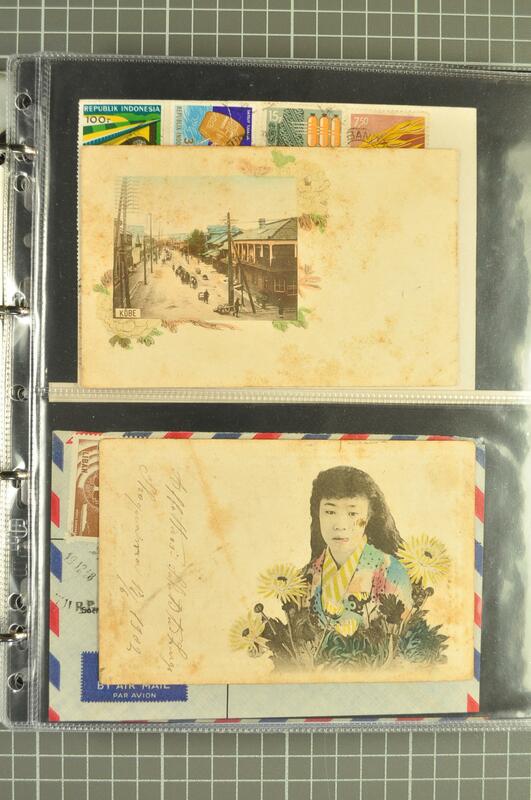 : Lot 50 covers/postcards from Asian countries incl. 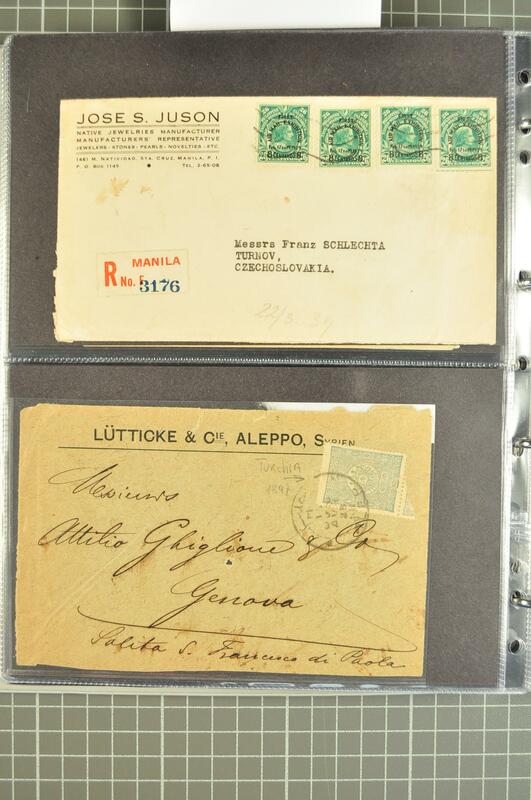 Philippines US administration to Germany and Czechoslovakia, Dutch Indies, French Indochina, Malaysia 1915 Trengganu to Copenhagen, Malay States 1906 Kuala Lumpur to Menado Dutch Indies, six postcards from Austrian PO in Trapezunt and cover Beirut, and Turkey 1897 Aleppo to Genova.